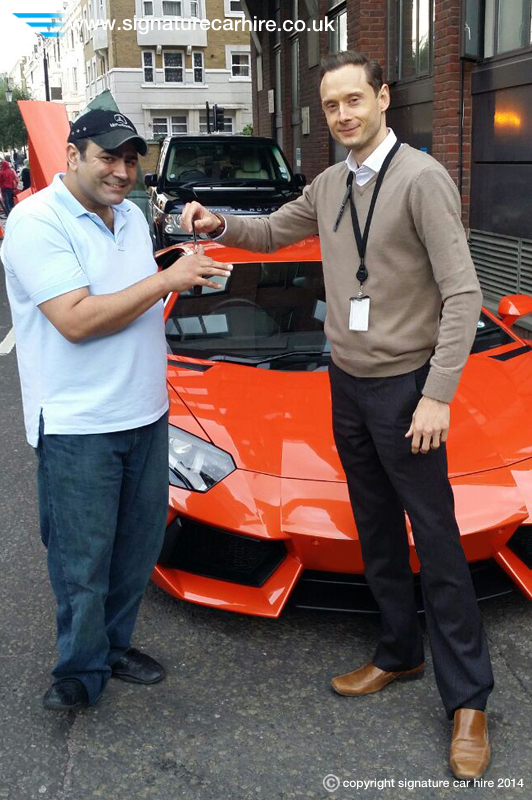 We are not surprised that our VIP client Jahangir has a huge smile on his face as Special Projects Manager Rob McAllister hands over the keys of our shiny Lamborghini Aventador. Jahangir is a regular self-drive hire client at Signature and has taken the opportunity to hire all our performance hire cars over the years. When Jahangir heard we had added an Aventador to our fleet of supercars he knew this was a driving experience he could not miss. 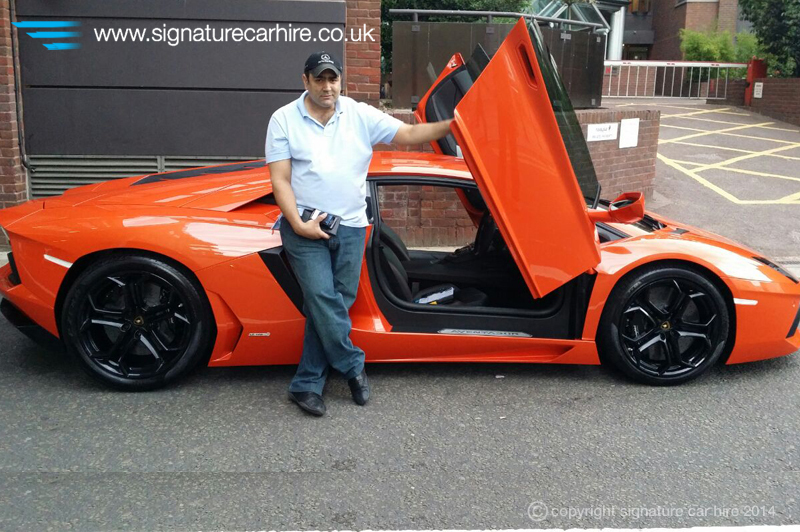 Jahangir thoroughly enjoyed driving the Aventador whilst he was staying in London; in fact he was so impressed that he came back a 2nd time to hire the very same car a week later! If you want to experience the Signature Car Hire VIP treatment, come down to our London Experience Centre and view our cars and service first hand. Call us on 0845 370 2222 or email us direct to find out how you can secure your personal invitation.